August 26, 2016|Posted in: Happy, Healthy, Smart Kids!, Let's Eat! Are these the cutest cookies ever, or what?! They’ll make the perfect back to school surprise for your little scholar (and your big scholar too)! These delicious sugar cookies are easy to decorate for any holiday or season! Edible Marking Pens (Available where cake decorating supplies are sold). 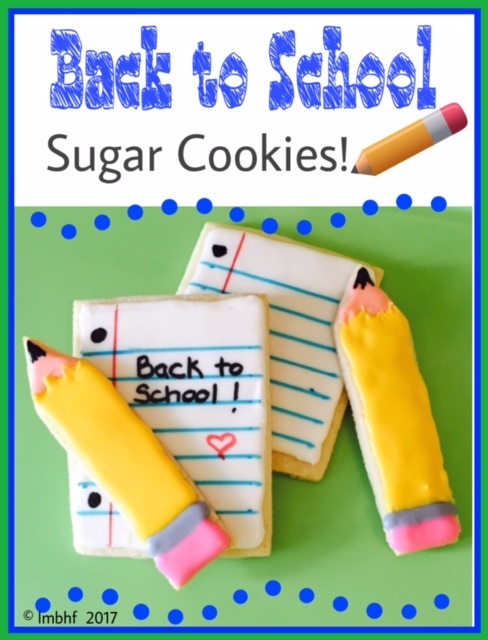 Wrap the cookes in individual bags and tie with a ribbon to give as gifts or throw a Back to School Party and let the kids help make their own back to school sugar cookies!! How cute are these! Kind of makes me wish I was going back to school! Thanks Ilona, we had so much fun making them! « Back to School – Is Your Child MENTALLY Prepared?